Do you believe that a friend of yours is blocking you on WhatsApp? Do you want to know if your girlfriend or boyfriend is blocking you? Here is a way for you to see if someone is avoiding you on the app. 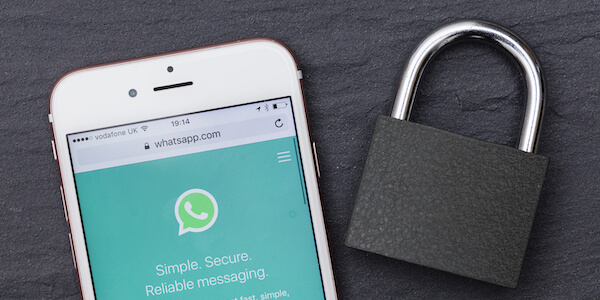 Are you starting to believe that some of your contacts have blocked you on WhatsApp? You need not worry, I can tell you exactly what you need to do. I’m Frankie Caruso (apps tester and technology expert) and within this short guide, I can tell you 5 methods to discover whether your suspicions are founded or not. I should explain, however, that while these methods provide more than the simple clues, there are no concrete ways to tell if you have been blocked or not. This is the reason that you can see the reliability coefficient (RC), a scale to indicate the degree of reliability for these options from 1-100. 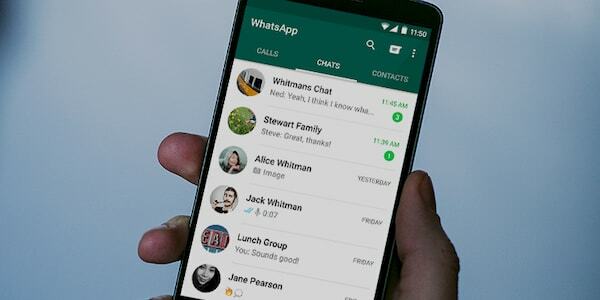 The developers of WhatsApp have not released an official function to let people to find out who blocked them. That being said, I’ve got some methods that should help. To defeat the enemy, you must become the enemy. 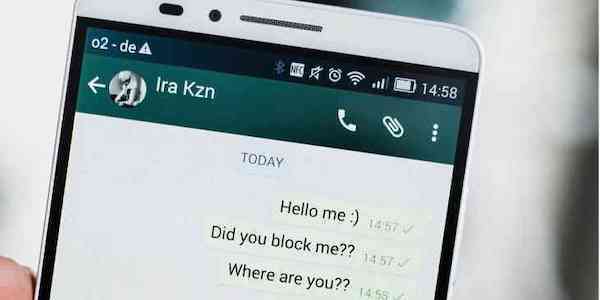 If you want to see if someone has broken communication through WhatsApp, you need to know what happens when you block someone on the app. Now, let’s take a minute and see what you need to know. As I have explained above, you can see in detail five methods to determine who has blocked you on WhatsApp. Each of these will come with a reliability coefficient (RC) rating from 1-100 to determine its reliability. So let’s get to learning some of these techniques. The first thing that you need to do to find out who has blocked you is to take a look at their “Last Seen” statistics. All you have to do is to open a conversation with them (no need to write a message), and see the timestamp that appears underneath their name. If you see the words “Last Seen….”, then it is positive you are NOT being blocked. If nothing appears here, there is a good chance that you have been placed among their blocked contacts. Margin of error: it seems that lately this method has lacked effectiveness because many users have chosen to hide their “Last Seen” status. This technique is similar to that of the previous one, but with a higher degree of reliability. This is more reliable since people are far more inclined to want to show their profile picture and less likely to show their “Last Seen” status. Note that a low percentage of individuals might have no contact picture. To utilize this method, open a profile of the suspected blocking contact and check their profile picture. Margin of error: It is possible that people can simply delete their picture or neglect to ever use one, which can give misleading results. This third message concerns the famous ticks (small green, blue or grey icons that appear on the bottom right of messages to determine if they have been received, sent, or read). If you have been blocked, you will always see one single tick next to the message. In any other case, you will see one or two additional ticks to indicate that the message was received and read. Margin of error: this method can be fallible if the suspected contact knows how to read messages without making ticks appear or change. While you can see from the RC rating that the first three methods are fairly reliable, they are far from the level of certainty that you want. To be sure of a suspected contact, we need more. What helps here is psychology, but it does not have to be a complicated ordeal. What we do here is combine techniques described above with the known behavior of the suspected contact. This allows you to avoid the entire margin of error portions of the techniques listed above this one. Essentially, you need to combine all of the available data together. Collect the information you have received in the first three techniques, and see if there are inconsistencies with the expected use of the app by the contact you suspect. It might seem like this could be complicated, but you needn’t be a psychologist to accomplish this. We want to find out if our contact John has blocked our account. You open his contact on WhatsApp and notice that his “Last Seen” does not appear. You also notice that double ticks on your messages have not shown up, and that his profile picture has disappeared. In this case, it is very evident that John has likely blocked you. To be sure, you search your memory to think of what kind of user John was on WhatsApp. If he rarely used Whatsapp, it is possible that you are not blocked. In this case, check often for the span of a week. If you notice no changes, such as the presence or absence of a profile picture that you could previously see, then you have the answer you’ve been looking for: John has blocked you. If John uses WhatsApp multiple times a times a day, the answer is clear: you’re blocked. So that is why this method offers an RC of 90-99%. These effects are valid for determining who has blocked you, but they leave a 1% uncertainty. While that is still good, Wasap Ninja, a Spanish website, published a trick to know who has blocked you with absolute certainty. The answer is actually simple. If all the suspicions have indicated that you are blocked, you can move on to one final test. Some might think of using this method alone and skipping over the others, but the risk of “getting caught” would become too high. We can see that in detail once you see how to find someone who blocked you using groups. Let’s sum up the situation quickly. What happens when someone blocks you on WhatsApp? You do not see the status update, last seen, or changes to a profile picture. Still, these indicators are no guarantee that you can discover who has blocked you. You need more to be sure. 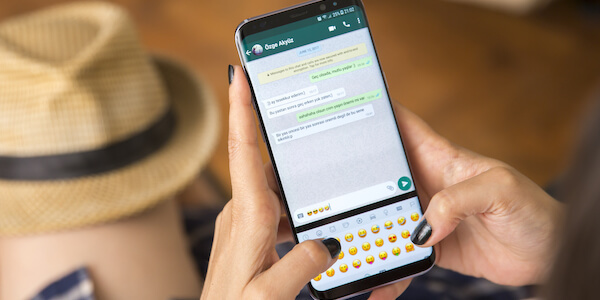 You can open WhatsApp and create a new group. Search for your suspected contact and attempt to add them to your newly-created group. 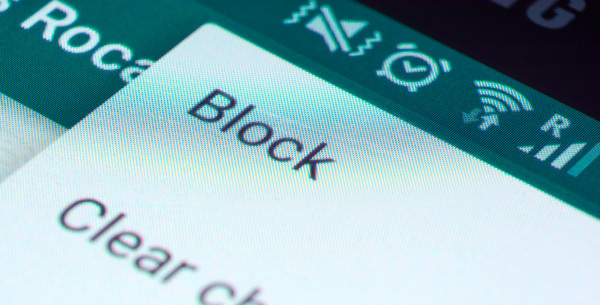 If you have not been blocked, the contact is added normally to the group. If you have been blocked, you get a message stating “You are not authorized to add this contact”. This means, without a doubt, that you have been blocked. So, long story short, you can add a group of only contacts that have not decided to block you. Be Careful:This technique gives you absolute certainty that you have been blocked, but you run the risk of an accusation based on “unfounded suspicions”. If you have not been blocked by the person you suspect, and they are added to a dummy group, they will want to know why you added them to it. For this reason, and to avoid getting caught, it is advisable to use the other strategies before you attempt this one to make sure your suspicions are as founded as possible. In the event that you suspect your partner has blocked you to avoid knowing about an illicit affair, you can always install mSpy on their phone. mSpy is the most popular spyware application for Android, Windows, and Apple devices. You can see everything that happens on the device in real time. Unfortunately, there is little that you can do to unblock yourself. The best thing to do is to reach out to your friend with a phone call to ask them what’s going on. If you have any doubts or questions, do not hesitate to reach out with a comment below and I can get back to you quickly. If I turn on flight mode just before I create the dummy group, will that give me my answer while saving me from actually creating the group?? ?